Don’t you love when furniture feels as good as it looks? 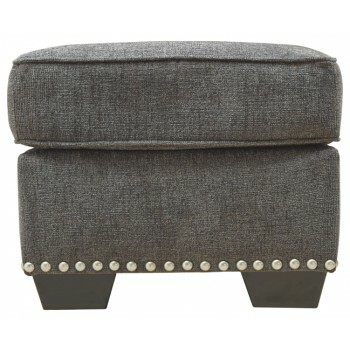 There’s no doubt this ottoman makes a trendsetting first impression. Textural chenille fabric elevates the look of your room with its handsome gray hue. Pewter-tone nailhead trim brings an element of shine. Prop up your feet and enjoy its comfort.